Are you are in search of a special way to express your compassion for your deceased loved one? Or make your special day even more special? 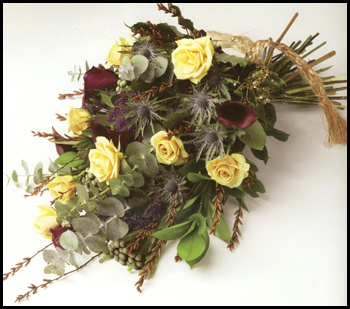 Whatever your request, First Impression Florist Hertfordshire can offer you the perfect bouquet to get your message across. First Impression uses only the very best graded flowers under strict quality controls coupled with the most reliable delivery service to create an unforgettable experience for you. At First Impression, every order is special for us. Whether the order is large or small, the satisfaction of our customers has always been our top priority. We always ensure that our orders reach all our customers on time, without any unnecessary delays. Our successful years of quality service have earned us an unmatched reputation in the London and Hertfordshire areas. Our qualified staff’s colourful inspirations make every bouquet beautiful, taking floral presentation into an entirely new dimension that gives us an edge over all of our competitors. Choose from our extensive range of exquisite arrangements, proficiently designed and arranged to give you the best possible effect. So, don’t wait anymore. Pick the bouquet which feels the most suited to you and leave everything else to us!